Accounting - Ray & Co. Business Services, Inc. 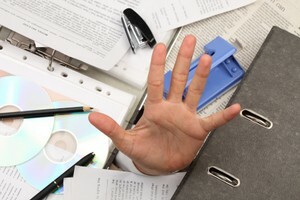 Need a hand with your accounting and bookkeeping? If your business does not currently have either the time or staff to meet your accounting and bookkeeping needs, or if your business is beginning to outgrow your current bookkeeping system - we can assist you by providing a wide range of accounting and bookkeeping services to meet your needs. And, if your bookkeeping needs change, we can also provide the necessary assistance and support to ensure that your accounting systems and procedures keep up with your business needs. We take an "a la carte" approach to small business accounting ... tailoring our services to fit your particular needs. You can pick and choose which specific tasks you need or want help with. Our goal is to assist you with those tasks that you either can't do ... or do not want to do ... yourself.